Google is celebrating the 115th anniversary of the discovery of the ancient Antikythera Mechanism with its iconic Google Doodle. Although the artifact was recovered back in 1901, recent advances in technological have helped archaeologists learn even more about an ancient Greek analog computer that is over 2,100 years old and is believed to be the earliest surviving mechanical computing device. 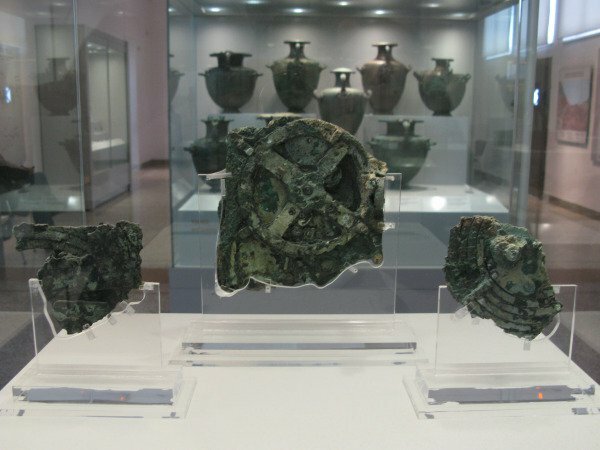 Originally found in the remains of a shipwreck of an ancient merchant ship that is believed to have sunk between 150-70 BC, the artifact was layered in mud and thought to have been of little importance compared to the statues, jewelry and coins that were discovered as well. The mechanism is composed of some 40 bronze cogs and gears and is believed to have been used to help teach Greeks about their place in the cosmos.